Remember that feeling as a kid, when your mom brought you a slice of refreshing watermelon while you were playing in the hot sun? This is EXACTLY like that…but with tequila. Mix the sugar and water until dissolved, then add tequila and triple sec. 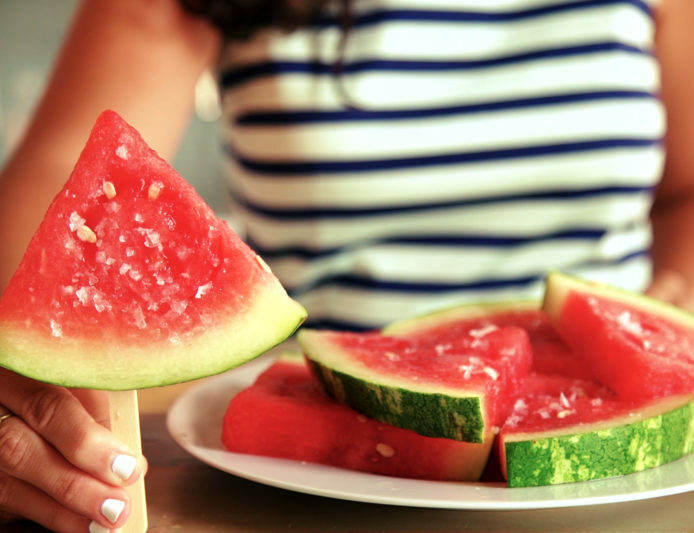 Arrange watermelon in a single layer, pour syrup evenly over the wedges, and refrigerate for 12-24 hours. Once chilled, squeeze limes over melon and season with salt. Pro tip: pierce them with a popsicle stick at the rind for easier carrying and eating! Enjoy!